Here is a quick PODCAzT partly to get me going again and partly because the topic really got my mind going. It am delighted that is in print again by the increasingly excellent Angelico Press. Mosebach writes about the effects of ruptures in the flow of liturgy, and the moment of the sermon is one of them. This should be a point of reflection for every priest and bishop. This entry was posted in "How To..." - Practical Notes, Hard-Identity Catholicism, Liturgy Science Theatre 3000, PODCAzT and tagged homily, Martin Mosebach, podcast, PODCAzT, sermon. Bookmark the permalink. I don’t know why Martin insists there is “no solution”. The solution seems obvious: delete the sermon from the middle of Mass. Either put it before or after Mass, or let there be no sermon at all. (Yes, it would entail a change in the rules.) Isn’t it true that in the middle ages, only a certain few priests had faculties for giving sermons, and most priests just said mass? As an alternative: much of the Epistles are, in effect, sermons by a few of the great early saints, who knew Jesus in person as well as by grace. We have many more sermons by the Fathers and Doctors of the Church – other great saints, who knew Jesus by grace only. A priest could probably elevate his sermonizing and simply lift one of the sermons of Augustine or Chrysostom, edit it a bit for the modern ear, and deliver it. While it isn’t scriptural, it’s a pretty good second fiddle. We read a lot of random stuff about medieval priests, but a lot of it is nonsense. Pastors of parishes always had the faculty to preach, but junior positions often did not. Similarly, it was possible that the chapel out in the woods was staffed by a priest simplex, or that a monk who was also a priest did not have preaching faculties. There was no requirement for sermons at weekday Masses. OTOH, preaching on weekdays out in the public square often meant that people like friars or even faithful laity were given permission to preach, without having any priestly powers. I don’t have a definitive source on this, but what I read in this account seems to corroborate what I have read “between the lines” in many other places: at least in the early middle ages, preaching was not a common Sunday Mass event. This is not surprising, in that in those early years many priests had hardly more than enough training in Latin to properly perform the liturgy, not to translate Gospels into the vernacular or to translate homilarium (written in Latin) either. He goes on to say that it wasn’t until the Council of Trent that there was explicit legislation providing that the parish priest had an obligation to preach weekly. Perhaps there was a real transition (in practice) between the Latin Church when Latin was the spoken language, the language of the people, and the Church of Europe where Latin was preserved as the language of the Church but the language of the people morphed into the Romance languages? But such a period of change was, also, pretty much the same period in which the Latin Mass became formalized and cemented into its Roman form for most of Europe. 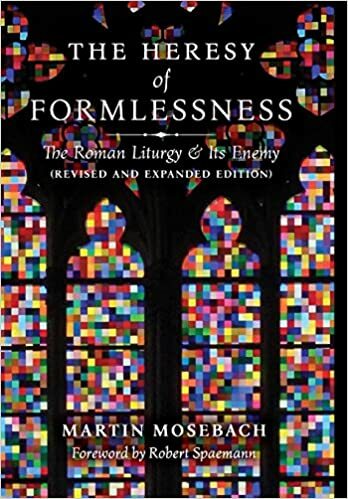 So, even if this change indicated that what happened in the early middle ages was, itself, a bit of a fluke and not by explicit design, it would remain true that for the traditional Mass by custom, the sermon was not uniformly considered essential.